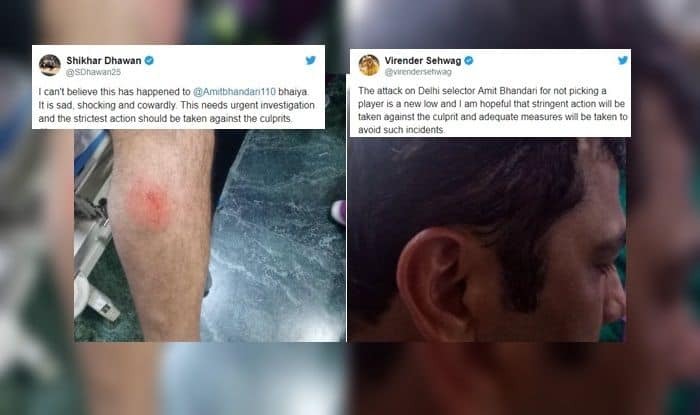 Delhi and Districts Cricket Association (DDCA) selector Amit Bhandari was attacked by goons during a U23 match at St Stephens College Grounds on Monday. Delhi and Districts Cricket Association (DDCA) selector Amit Bhandari was attacked by goons during a U23 match at St Stephens College Grounds on Monday. The former cricketer picked up injuries near his head and ear and was rushed to the Sant Paramanand Hospital at Civil Lines by his friend Sukhvinder Singh. The incident did not go down well with Delhi cricketers who took to social media to slam the culprits. Dhawan will soon be seen playing for India when Australia come to India for a limited overs series.